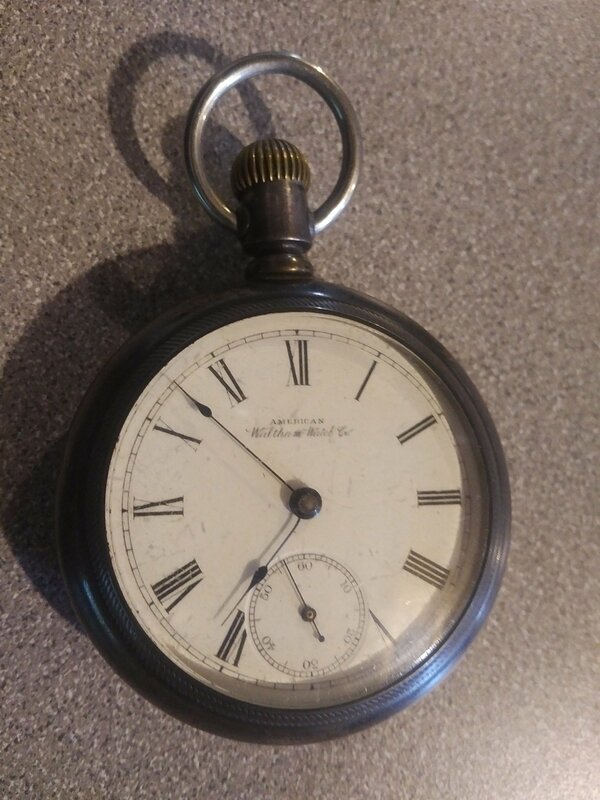 Think about that for a moment—you own a timepiece crafted 130 years ago. 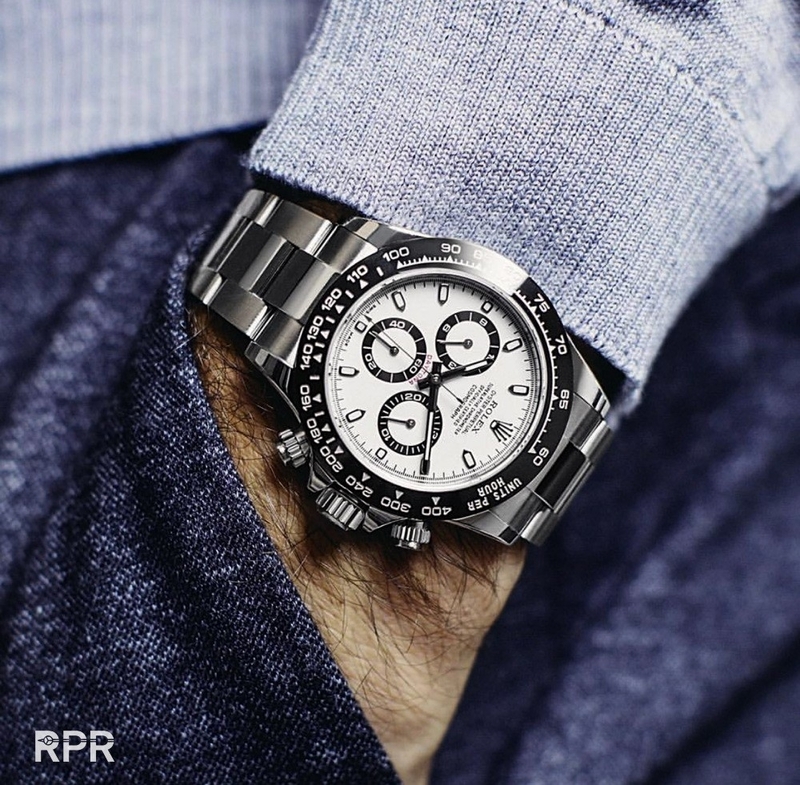 Dang it what a beautiful piece, the Rolex Daytona in steel with ceramic set in white dial. I asked my dealer yesterday how difficult would it be to source for me (since I am one of their clients). His response was "unfortunately even for you it would be very difficult." 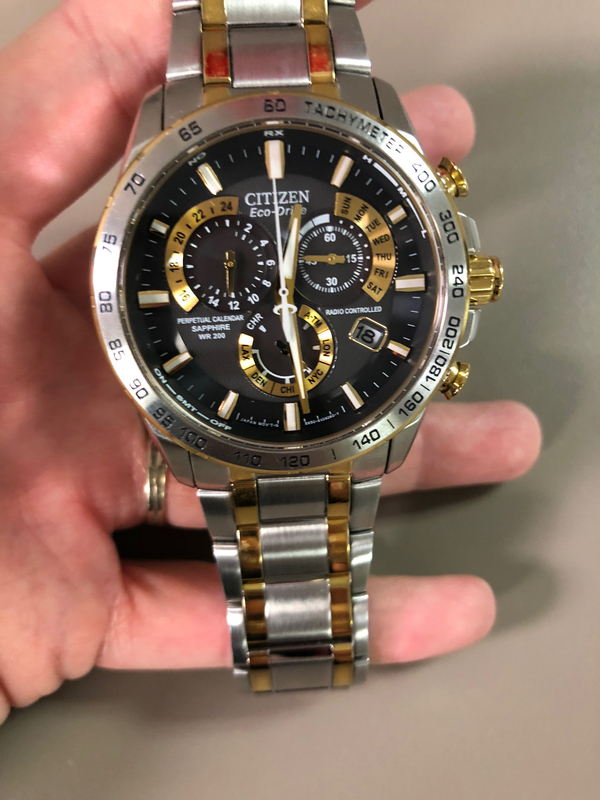 That is one slick lookin' watch for sure!! I asked my dealer yesterday how difficult would it be to source for me (since I am one of their clients). His response was "unfortunately even for you it would be very difficult due to lack of body hair." 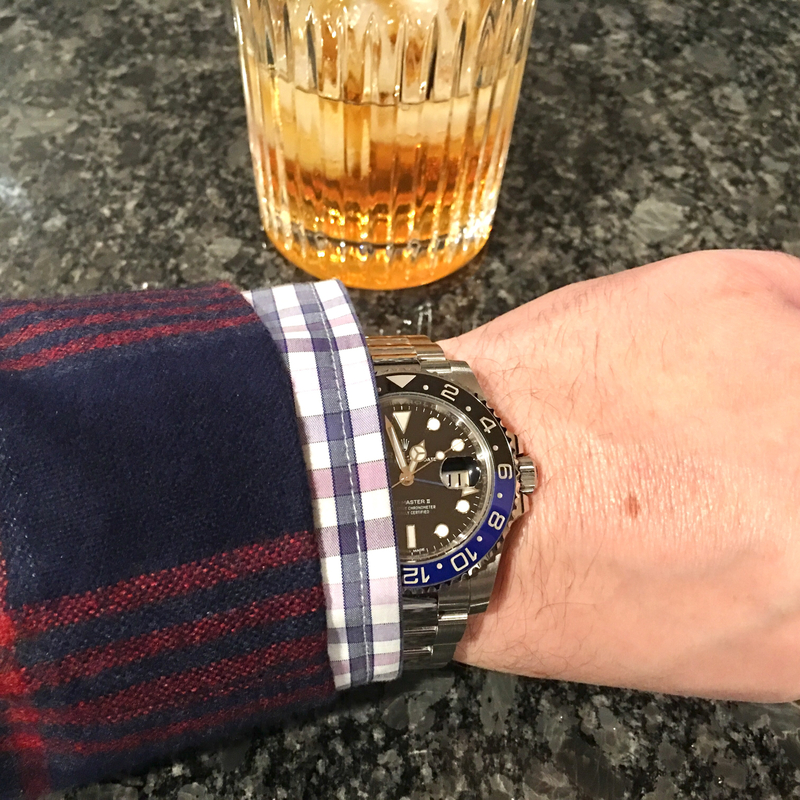 I was going to say, that was an awesome picture of the Rolex whoever shot it. During my honeymoon... 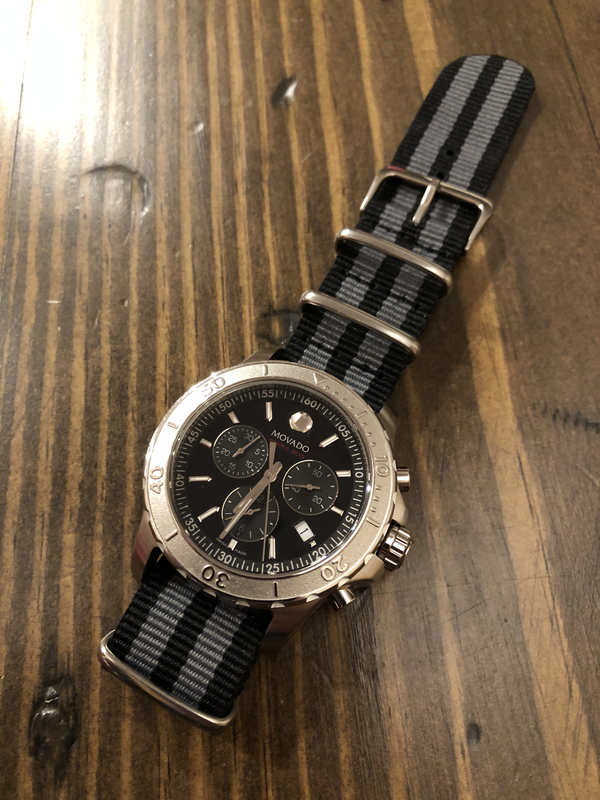 Still my favorite watch of my collection. Any ideas guys? @mrbiron ? Just tell her it's always had the ceramic then say shows how much you pay attention.... Then run and hide in that rel sub box until it is safe to come out. 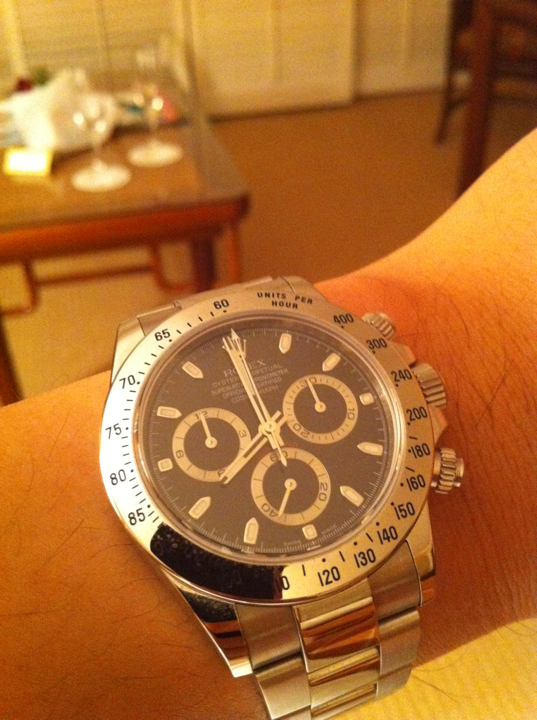 She was like "why did Art (dealer salesman) say it would be difficult for you to buy the ceramic Daytona?" I said l, "because it goes to clients who spent more first..."
She says, "Good. I'm glad you can't get one then." So... of all things to take a pic of, mind you, during your honeymoon. You managed to take time out and posed ( who know how many times ), to take a pic of a watch? During your honeymoon? Lolol. Legit funny. Since it was during your honeymoon, I am not sure if you were timing yourself Tarzan... You know, fist pounding to chest, but the seconds hand...ticks a little fast. Yep. It takes like a second to take a pic. What did you expect? 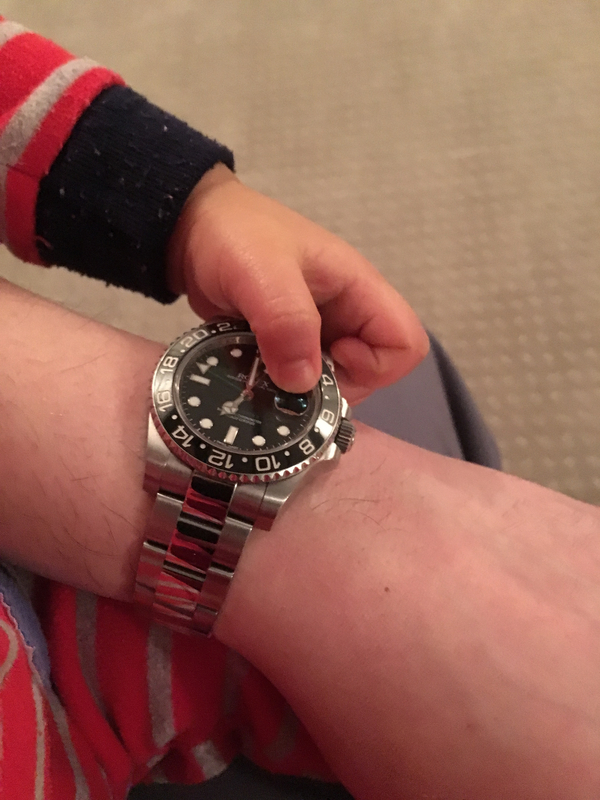 I post pics of my honeymoon on a watch thread? I took like a hundred pics of things other than my watch. Next time, before I take a pic of something, I'll make sure to run it by you. Though on a more serious note, I recall exactly what was going on with this pic. The time was 7:59pm, we had reservations at the restaurant at 8pm, I was waiting for my wife to get ready. That is a left field statement......Dr. V is a puttz... but he's our puttz and I will pick on him and his sexyass spearkers and goofy little daughter as I see fit. Pee off, turdlicker. That is a left field statement......Dr. V is a puttz... but he's our puttz and I will pick on him and his hairless sexyass spearkers and goofy little daughter as I see fit. Pee off, turdlicker. I just posted these two in the For Sale area. 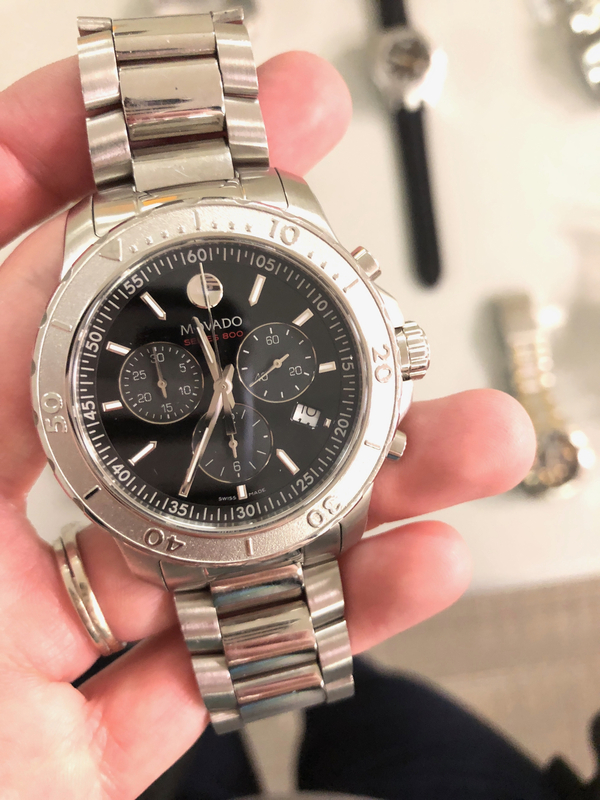 I may keep the Movado for myself. If you’re interested, check out the thread for more details. My fav for quite some time now. Just works with everything. "Keep on wearing in the free world" doesn't have the same kind of chutzpah to it. Ewe gut mai werdz awl twisstid round. Also, I knew Dave Mustaine back when he was still in Metallica and he was not a good person, therefore I find your username objectionable.